I don't like being away from home. This week I had to go away for 3 days for work. Luckily I did not have to fly, and was able to drive to my annual work meeting about 2 hours from my house. And while it was nice to see my co-workers, I will be the first to admit, I really don't like being away from Brian & Julianna and I miss them terribly. One of the best inventions (of all time) got me through the day - and that is Facetime. Brian 'facetimed' me before Julianna went to bed, and we got to talk - and I got to tuck in my little girl (virtually). That was worth it's weight in gold. 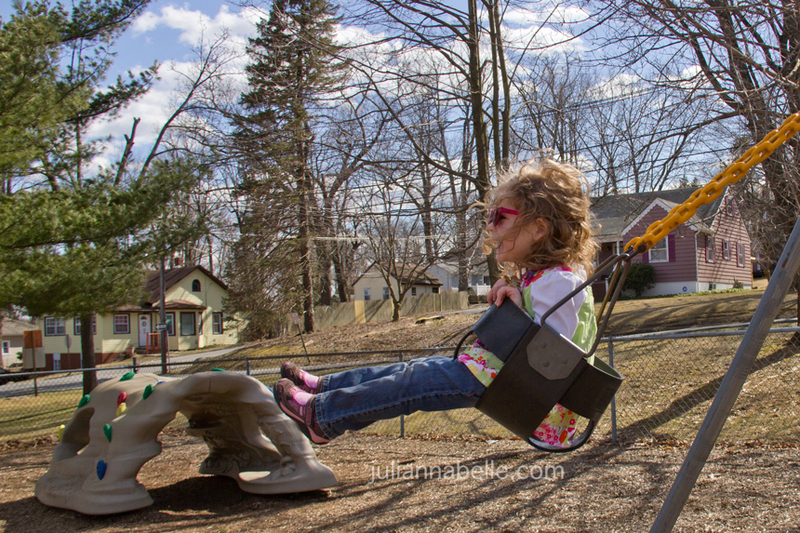 We had a nice Easter weekend with some much needed warmer weather and outdoor time! The Easter bunny visited and left Julianna some really nice presents. The bunny also hid some eggs in the house with some coins in each egg - She couldn't wait to put them into her piggy bank. That makes mama & daddy so proud that she is learning to save money. haha! We told her she can save up to buy something really special for herself... she liked that idea a lot! Julianna loved everything the bunny left for her and he even ate the carrots that she left out in a bowl for for him to munch on! Sadly I don't have many pictures from Easter morning - I just wasn't motivated enough (too tired!) to pull out my camera. 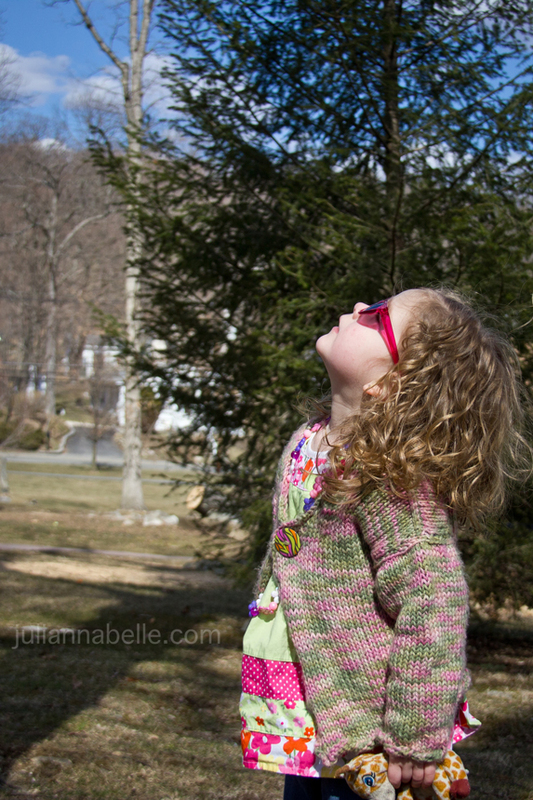 I did however take some pictures of Julianna doing the Easter Egg hunt at my Aunt's house later that day. 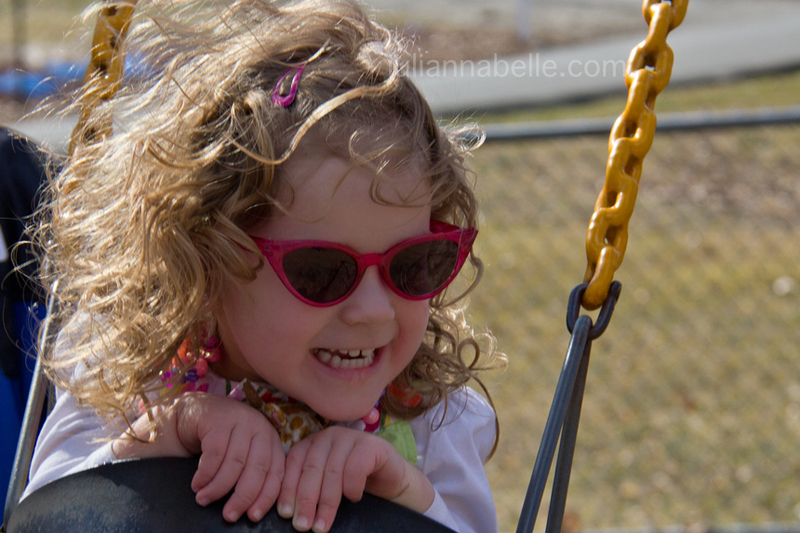 She is such a fun age - just about 3 years old - I love how excited she gets over everything! She loved that the bunny came to my Aunt's house and hid some eggs for her there too! 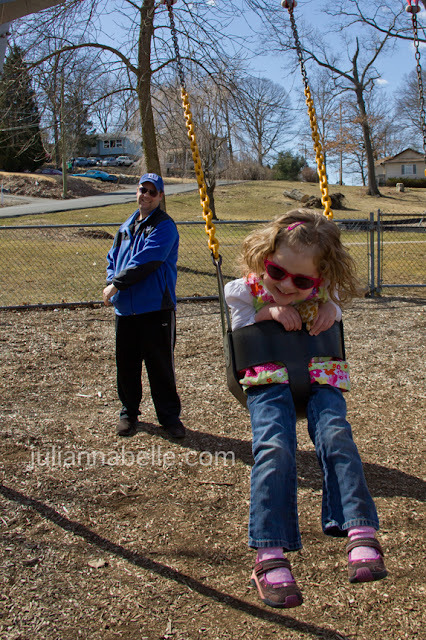 Here are some pictures from our first day (of the season) at the park - Easter pics will be posted another day. Hooray! Spring is coming soon!! 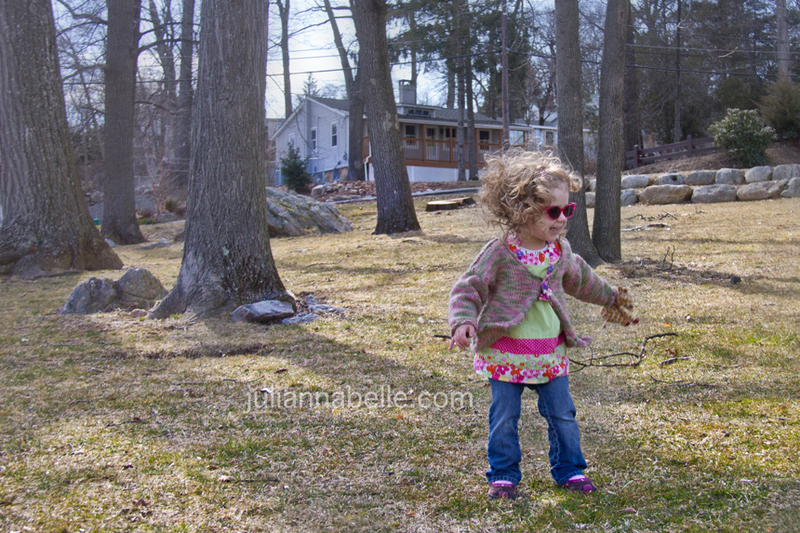 Jumping for joy about the weather. Sunglasses of course... stay on! Look how big the tree is!! Swings are her favorite still! She is just getting so freakin' big! I love these shots especially the second one down! I don't know how you can be away from them either. I miss my little one after only a few hours; it's crazy really! By the way I love her outfit! I knew your snow would melt eventually! 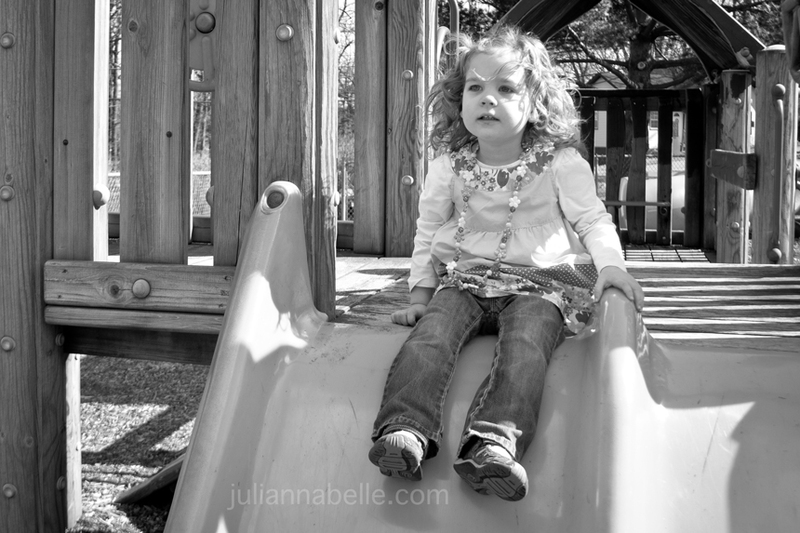 ;) I love those playground pictures--Easter is an great time of year!! I bet you did miss her while you were gone, it's always hard to be away. Love the pictures, she's just as cute as always! This really is such a fun age! I've tried to follow different directions (yours and others I have found) to get rid of the "no reply comment" thing, but last I checked it was still showing up. I don't know what I'm doing wrong! I don't even think I have google plus, if I do, I've never used it. I don't need something else to keep up with! Her hair is so fabulous and that sweater is adorable! I wonder if her brother is going to have curly hair, too? hmmm. Excited to see pics of the little Mr. You are getting close. 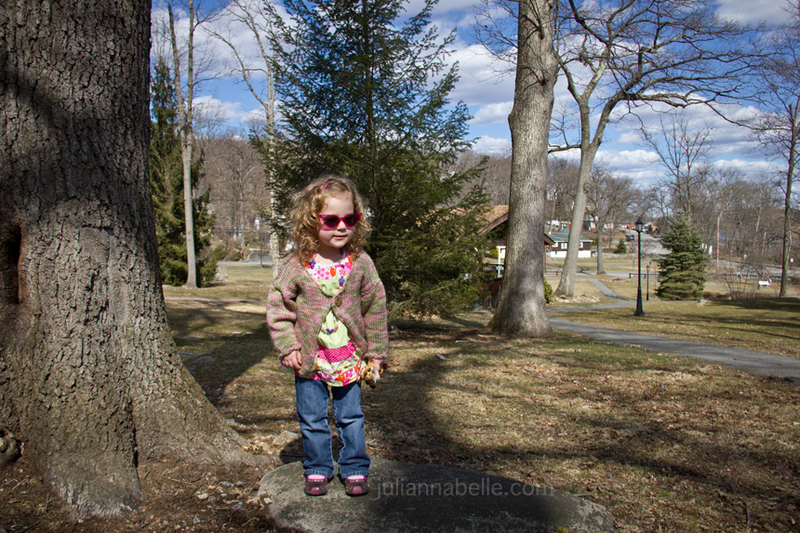 Julianna rocks those sunglasses! I've only been away from Mason when I was in the hospital with the twins and I was so drugged it didn't bother me much. If I had to be away for any other reason, I'd miss him so much! Bet she's so excited to see you when you get home! thank you! 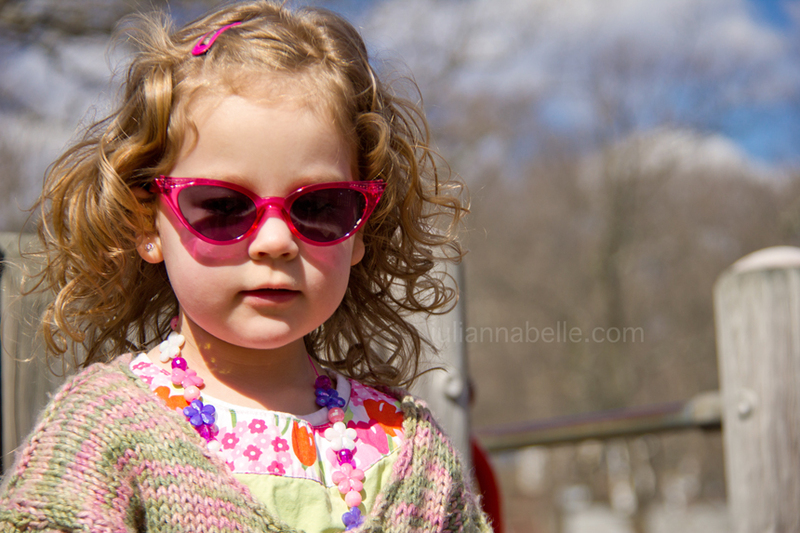 My husband and I are huge sunglasses people - we wear them everywhere - so we knew she would follow our lead. 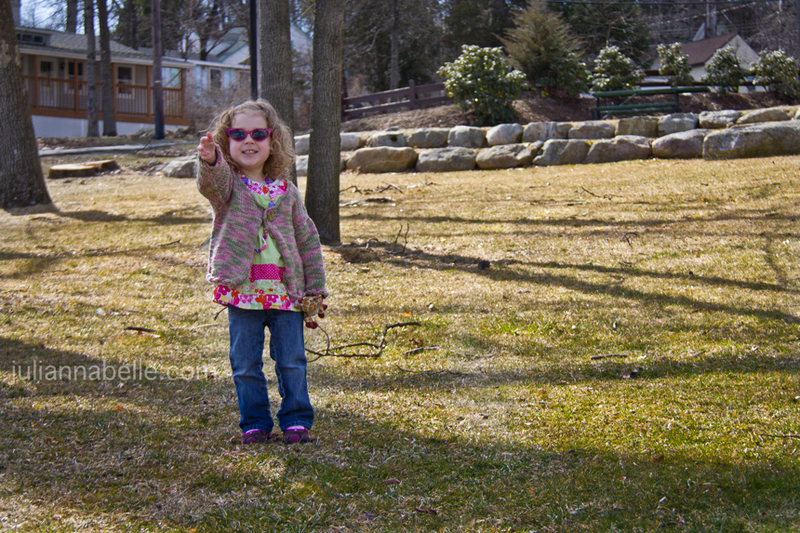 THe only kid at the playground with necklaces & sunglasses LOL - Stylin! haha!